Beginning on 4 September 2018, Assad regime and Russian forces escalated air and artillery attacks against people in the Idlib pocket. The wave of attacks came after three weeks of regime ground deployments towards Idlib, as well as of armed opposition groups strengthening defences against a feared all-out assault, and of the Turkish military strengthening their observation posts around the pocket. On that first day, at least five children from one family in al Basatin, south of Jisr al-Shughur city, were reported killed by Russian aircraft, as were a woman and her husband in Jisr al-Shughur, and a woman, Mrs Lama al Saeed, and her daughter Walaa al Taha, in Mhambel village in Idlib suburbs, the Syrian Network For Human Rights reported. Al Badriya Primary School in Idlib suburbs was reported bombed by Russian aircraft. Most Russian air attacks on the first day came near the M4 Highway between Jisr al-Shughur and Arihah. 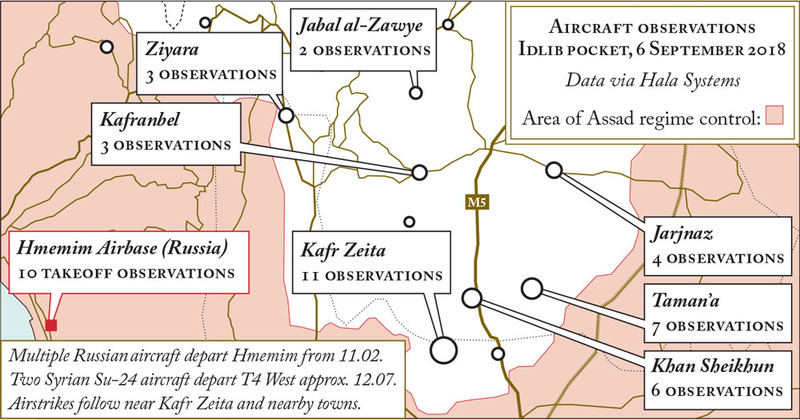 The M4 and M5 are the two major road routes running through the Idlib pocket, and so have a strategic value. 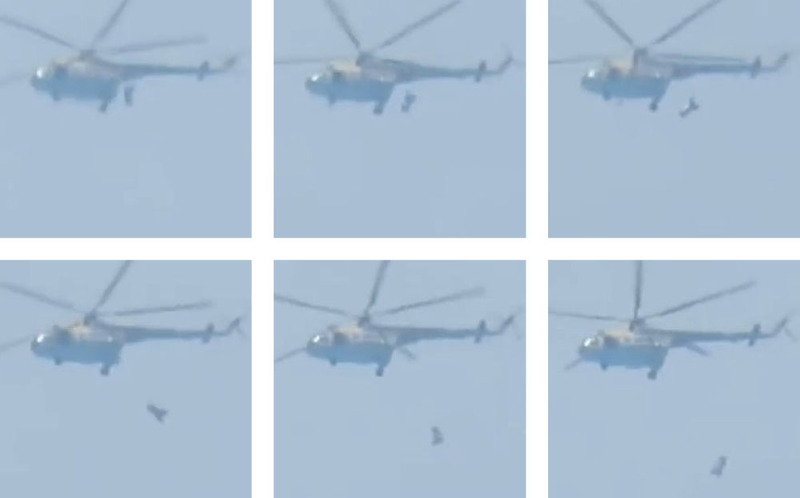 An Mi-8 Hip helicopter dropping a barrel bomb on the town of Al-Lataminah on 8 September 2018. 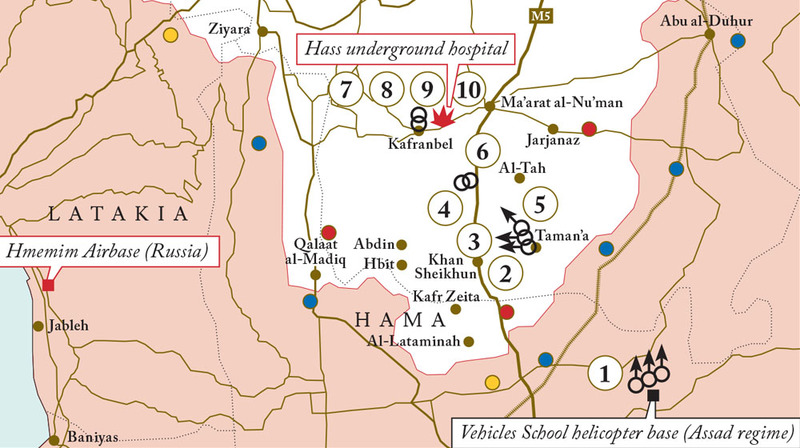 The same day, Hass underground hospital, 20km to the north, was also bombed by Mi-8 Hip helicopters. 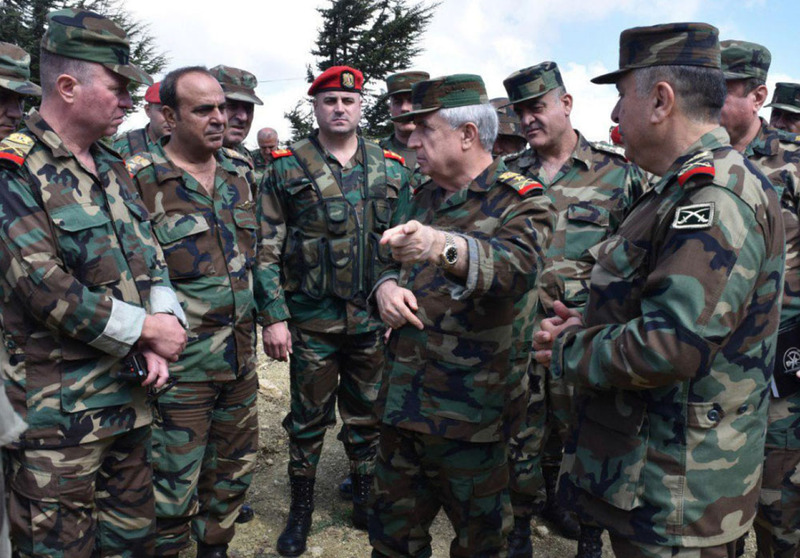 A couple of months earlier, rebel control in Daraa province, southwestern Syria, had suffered a rapid collapse when the US and Israel withdrew any form of deterrence against a regime advance, and Russian and regime forces took control of the entire southwest. 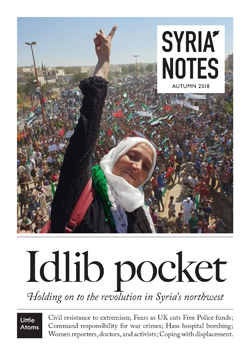 As a result, the Idlib pocket was left as the last remaining opposition-held territory in Syria without explicit protection from a foreign power. The Idlib pocket consists of a large part of Idlib province, parts of western Aleppo province, and a small margin of northern Hama province. In the last year, Turkey has established a series of observation posts around the pocket through negotiations with Russia, but it has been unclear whether these will impede a regime ground attack, as they haven’t prevented air and artillery attacks by Russia and the Assad regime from continuing. 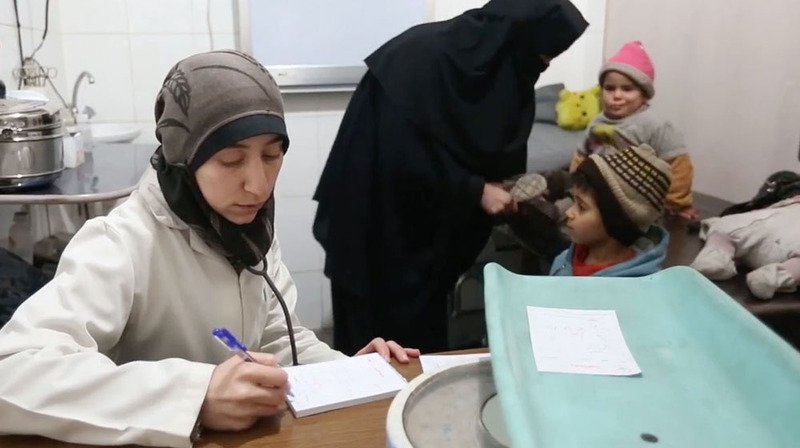 A REACH report of 31 July surveyed the conditions of 1.2 million displaced people in the Idlib pocket, and found that internally displaced people continue to have limited or no access to basic services such as healthcare, water and electricity, and that almost 20% of IDPs live in overcrowded or unsuitable shelters. 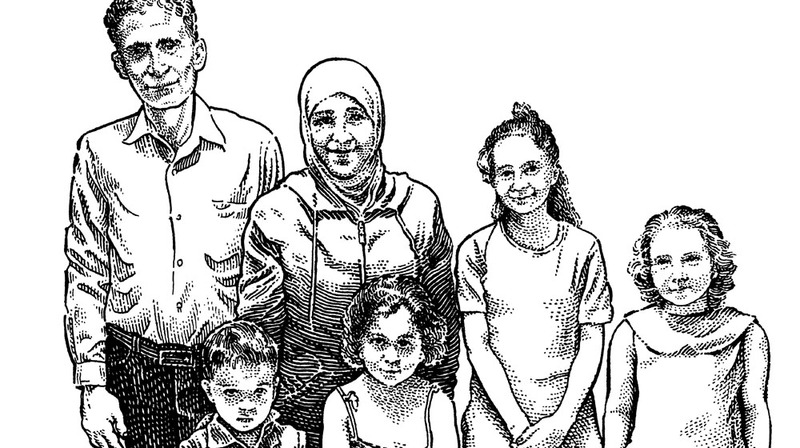 Very many of the displaced are people forcibly transferred by the Assad regime from besieged communities elsewhere in Syria. REACH reported that airstrikes, shelling and tensions between armed opposition groups are likely to trigger further displacements. 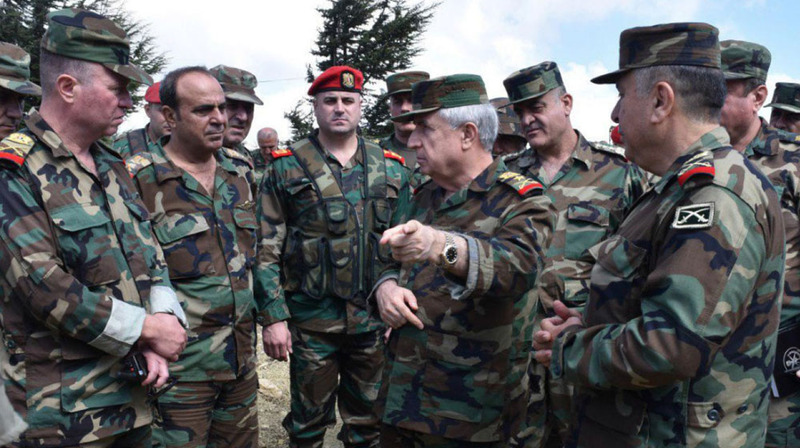 Military control on the ground in Idlib is divided between two coalitions of armed groups: one being Hay’at Tahrir al-Sham (HTS), a jihadist group descended from the al-Qaeda linked Jabhat al-Nusra; and the other being the National Liberation Front, a coalition supported by Turkey. 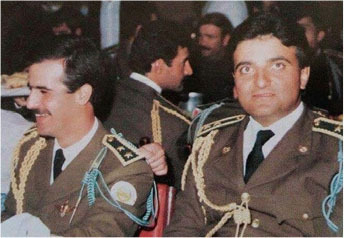 Competition between the groups has most recently been seen in a series of assassinations. Political control has been through local councils, some of them elected, working with the Syrian Interim Government. 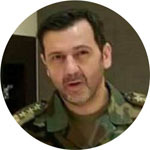 However since November 2017, HTS has moved to seize control of many councils and incorporate them into its alternative Syrian Salvation Government. Civil society groups have led popular opposition to HTS, as well as opposition to Assad regime attacks. 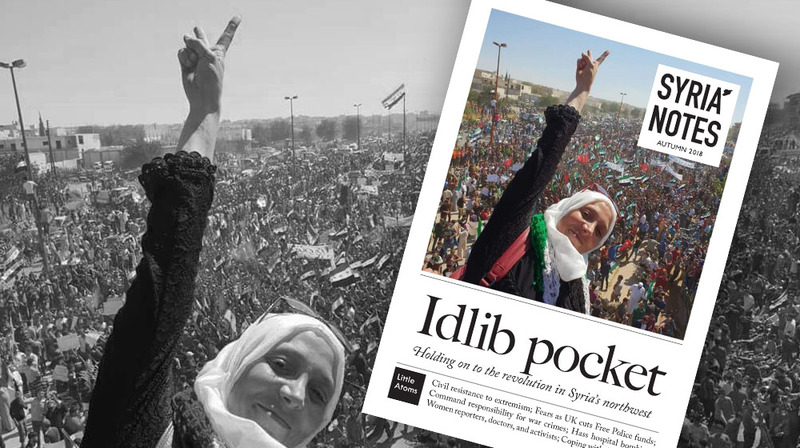 The escalating threats of a regime assault were answered with a series of large popular demonstrations across the Idlib pocket opposing Assad, supporting the Syrian revolution, and rejecting HTS. Russian and Assad regime attacks continued through the first half of September. 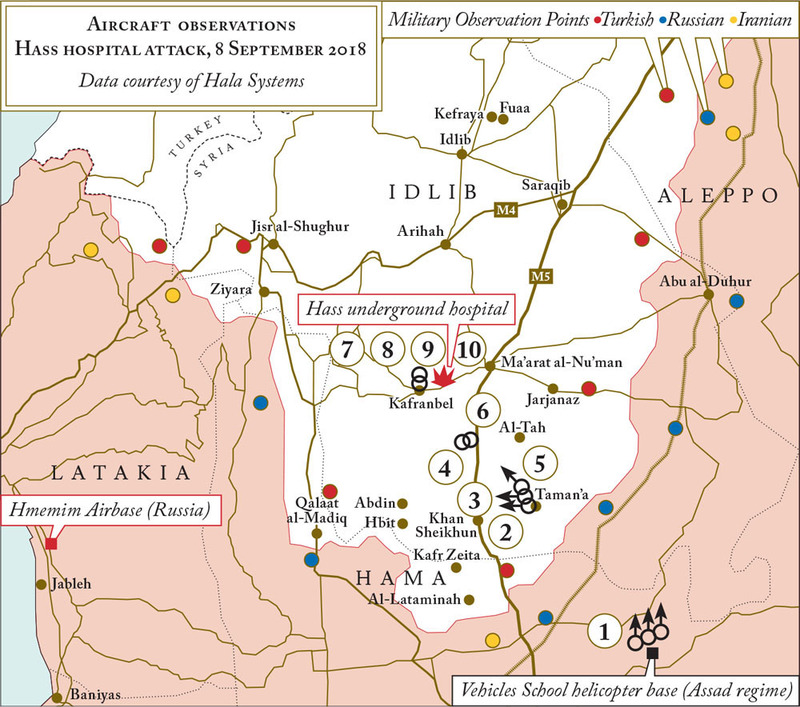 On 6 September a Syria Civil Defence (White Helmets) centre in Taman’a, Idlib, was bombed while both Russian and Syrian regime aircraft were reported circling the town. According to Amnesty, at least thirteen attacks were reported between 7 and 10 September in the southern part of Idlib governorate targeting the villages of al-Tah, Jarjanaz, Hbit, Hass, Abdin as well as the outskirts of Khan Sheikhoun, killing 14 civilians and injuring 35 more. 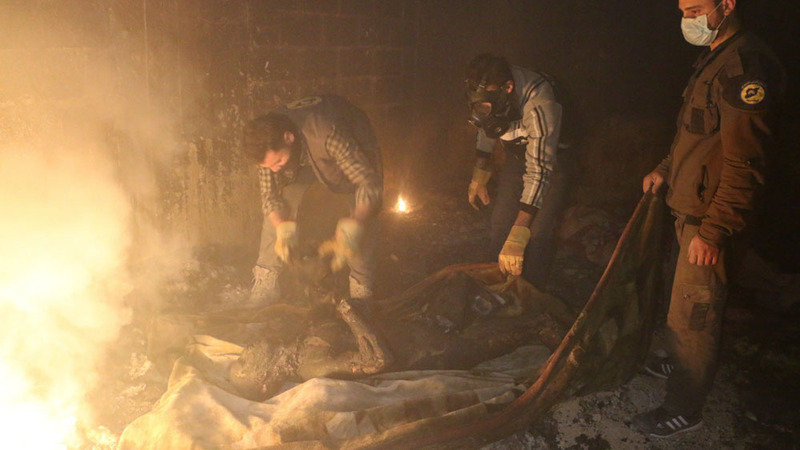 Internationally banned cluster munitions and unguided barrel bombs were used. The UK, US, and French response focused on sending a clear deterrent message against any chemical weapons use, but was noncommittal on whether they might impose consequences for more conventional assad regime attacks. 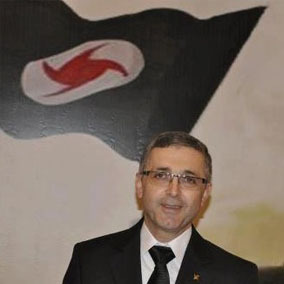 Turkish deterrence against a ground assault included sending more weapons to National Liberation Front groups, as well as deploying Turkish armour along the Turkish-Syrian border, and in some cases over the border. On Monday 17 September, Russian and Turkish leaders Vladimir Putin and Recep Tayyip Erdogan meeting in Sochi, Russia, announced a deal to establish a demilitarised zone along the perimeter of the Idlib pocket separating pro and anti regime forces. After the Putin-Erdogan talks, the Russian Defence Minister Sergei Shoigu said there would not now be an offensive, Reuters reported. Heavy weapons are to be withdrawn from the zone by 10 October, and ‘all radical terrorist groups’ are to be removed from the zone by 15 October. Turkish and Russian forces are to conduct patrols along the zone’s boundaries. Traffic on the M4 and M5 routes is to be restored by year’s end. Alistair Burt, UK Minister for the Middle East, welcomed the Idlib agreement on a visit to Turkey in the days following its announcement. Weekly demonstrations in the Idlib pocket continued, sidelining HTS, and calling for the release of detainees. 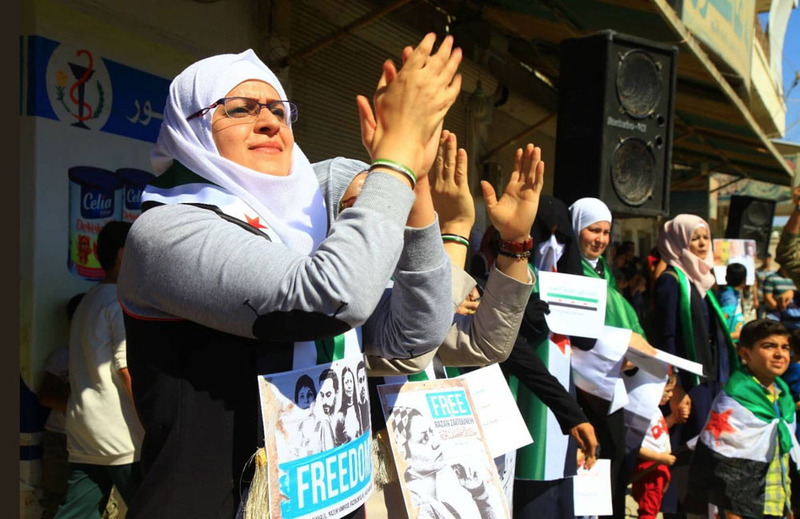 According to the Syrian Network for Human Rights, no less than 118,829 individuals are still under arrest or forcibly disappeared by parties to the conflict, nearly 88% of them taken by the Assad regime. Towards the end of September, the US and UK stopped sending aid into Idlib via the Bab al-Hawa border crossing, in order to stop HTS—who control the crossing—imposing charges on aid trucks. 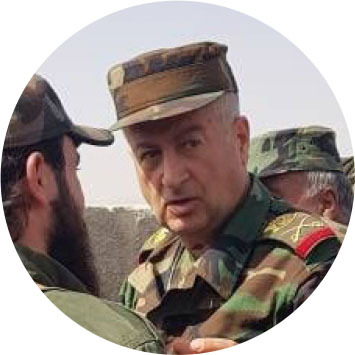 Ben Parker of IRIN reported that the HTS administration, the Salvation Government, responded shortly after by promising to stop the practice. 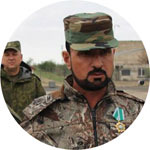 As the 10 October deadline arrived, various groups were reported to have removed heavy weapons from the agreed Russian-Turkish DMZ, despite objections from some groups over some of the terms of the agreement. 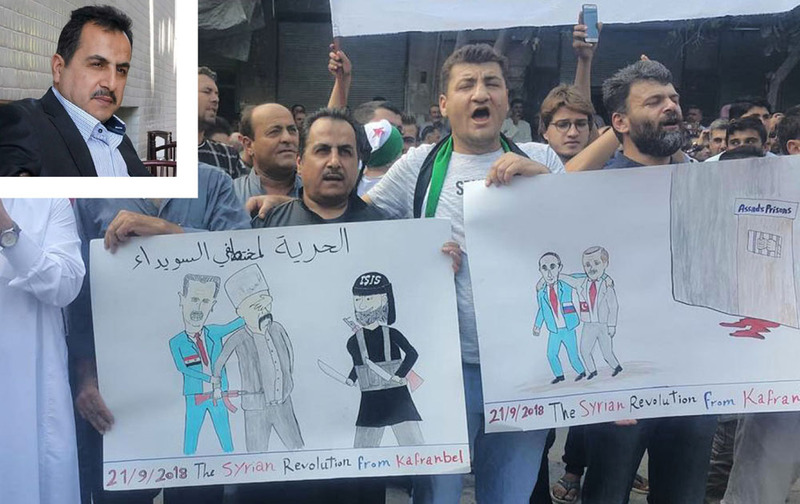 Idlib protesters calling for the release of detainees, with posters of the Douma Four. 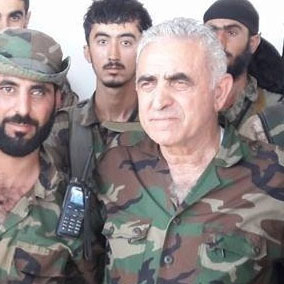 Armed group Jaish al-Islam are widely held to be responsible for the 2013 Douma Four kidnapping. Photo via Families for Freedom. Read the full article online at Waging Nonviolence. Lawyer Yaser al-Saleem at a demonstration in Kafranbel on 21 September, holding a sign calling for the release of people kidnapped by ISIS in Sweida, and accusing the Assad regime of complicity in ISIS attacks on Druze people in southern Syria. The following day, Yaser al-Saleem was arrested by the jihadist armed group HTS. 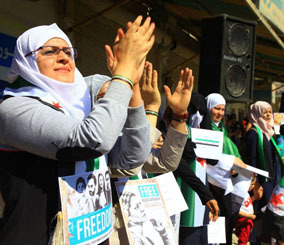 Inset photo via Syrian Network for Human Rights. 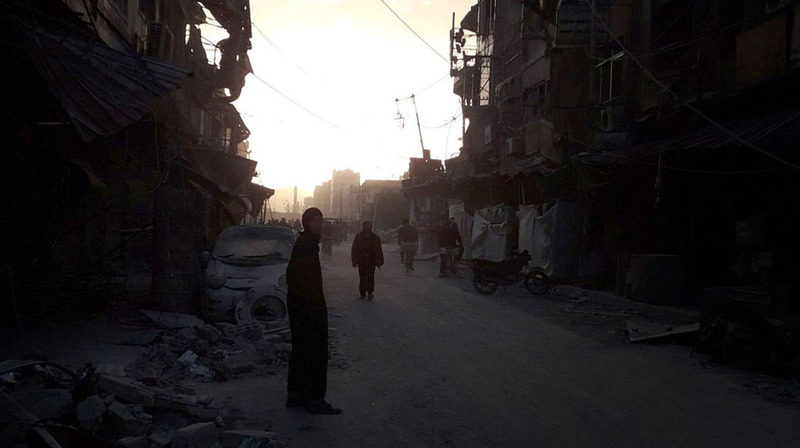 For the past six years in Syria’s rebel-held northwest, the Free Syrian Police has tried to maintain law and order in amongst armed clashes and shifting alliances between rebel factions. 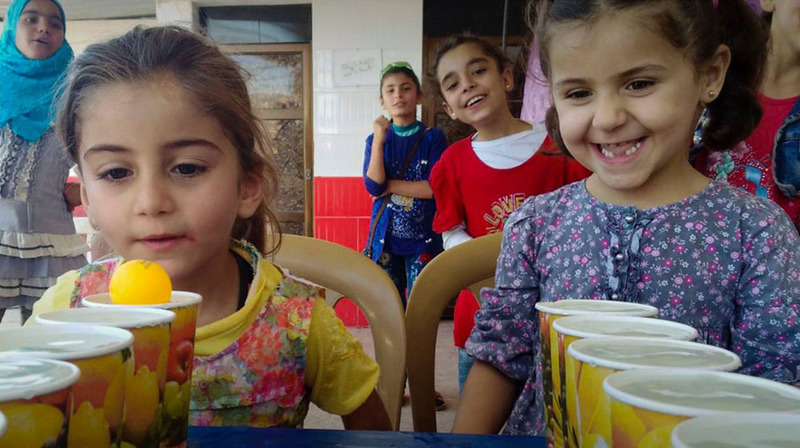 Since its founding in 2012, the network of community police officers has been going after criminals and protecting civil institutions in areas of Idlib and Aleppo provinces where the rules are all too often determined by armed groups. The force’s approach to policing has been described as ‘policing by consent’: by building networks of trust among communities where the force works and, above all, refusing to carry weapons. 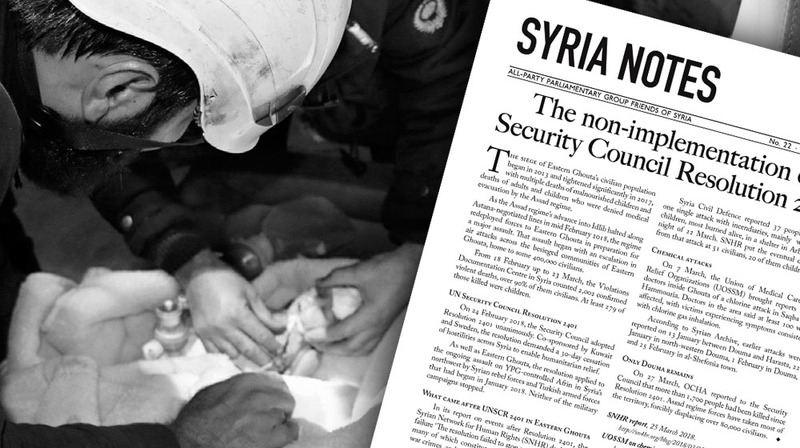 Read the full article online at Syria Direct. 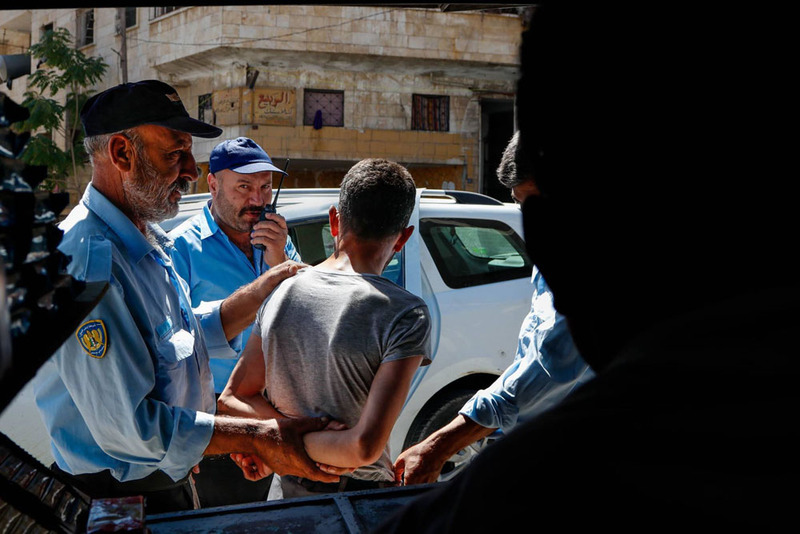 Arrest of a suspected drug dealer in Ma’arat al-Nu’man, Idlib.